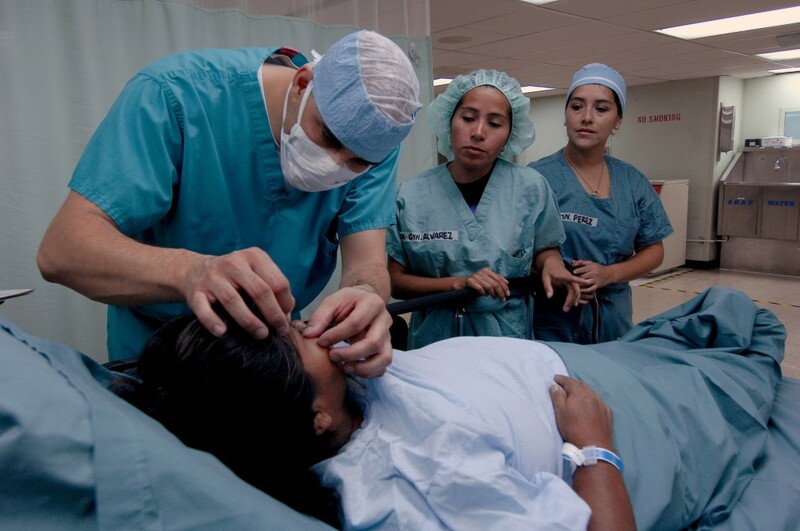 The operation is preformed while the patient is awake, calm and agile, however sometimes the patient receives a mild sedative for relaxation and calmness (such as Valium). 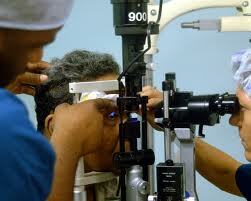 LASIK is performed in three steps. The first step is creating a valve in the tissue of the cornea. The second step is a reshaping of the cornea below the valve using the laser. Third step is restoring the valve in place. The vacuum ring approaches the retina and keeps the eye in place. This step of the procedure can sometimes cause some capillaries to break and cause bleeding which is a harmless side effect that passes after a few weeks. Increased suction typically causes a temporarily vision blur of the treated eye. As soon as the eye is immobilized the valve can be created. This process is achieved by using a mechanical micro blade that creates a series of tiny bubbles within the cornea with a small space between them. The valve remains attached at one end of the cornea. The Valve can now be moved exposing the tissue which is the central part of the cornea. The process of lifting and moving of the valve is done with great care although it can be uncomfortable sometimes, depending on the case. The second step of the procedure is using the excimer lasers (193nm) to reshape the corneal tissue. This phase occurs after the removal of a small part of corneal tissue and exposure of the central part of cornea. The excimer laser will burn the tissue with great precision without damaging the tissue in the vicinity. This layer is a few micrometers thick. The laser removal of the deep tissue provides a faster and less painful recovery then the older PRK techniques. During the second step the patient’s vision becomes very blurry when the valve is lifted. The patient will be able to see only white light surrounding the orange light of the laser which can cause mild disorientation. Lasers that are currently produced are using monitoring systems for tracking the position of the patient’s eye with up to 4000 frames per second which redirects the laser pulse for precise positioning inside the treated zone. Typical pulse intensity is around 1mJ (micro-joule) for the period of 10 to 20 nanoseconds. Because the laser reshapes the tissue layer, next step is to restore the piece over of the treated area by the surgeon. The surgeon carefully looks for arisen air bubbles or whether it is properly restored and connected to the eye. The valve remains in the natural position until the recovery is completed. A so called shield is placed over the eye which has a protective function for a next few days which allows the eye to recover without the possibility of irritation. The shield is removed as soon as the valve attaches. This will take a few days because the corneal epithelium has a good ability for regenerating so it quickly heals. After the surgery the patient may feel irritation, itching or a feeling of a foreign body stuck underneath the eyelid. It is advised not to touch your eyes because it is possible to damage the lid. Many doctors recommend sleeping after surgery as it is the best way to relax the treated area. The patient may encounter some enhanced gloss or halos but these problems should quickly disappear and the vision should improve in a few days. It is advised that the patient immediately seeks help if the pain gets worse or if the other symptoms worsen.